Is it just me, or does anyone think that morning coffee could be a more delicious experience? I used to think about it all the time, because something just didn’t seem right as I sat there slurping my morning blackness. 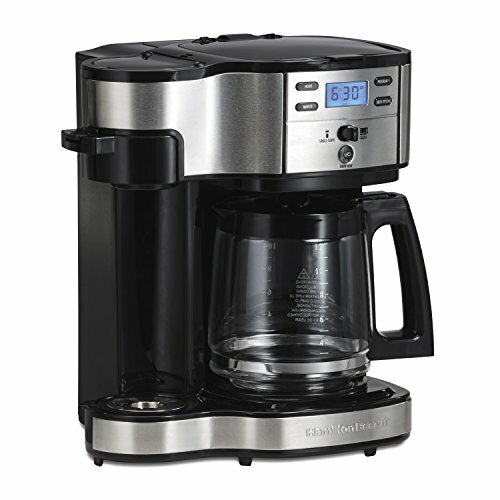 There was a time where I’d use my coffee maker – a good one (Conair Cuisinart Brew Central), at that – to brew up my coffee in a way that I thought was optimal. I figured, good pre-ground coffee, nice little coffee maker, what else is there to life? 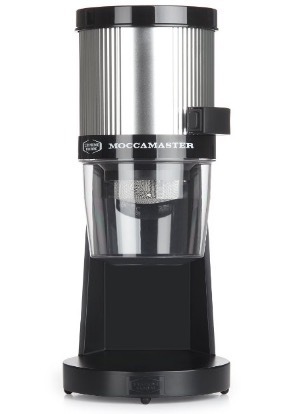 I also have an expensive RO water filter to make my water taste clean and pure (gross water is a no-no), and I don’t generally use cream or sugar in my coffee. Then what happened is this. The thing that tipped me off to my home brew being rather inferior was the occasional trip to my local café. I’d go there a couple times a week to order a cappuccino or even just try their different coffees, as the place has a warm, inviting atmosphere and cool people working there as well. So one day I noticed something – they were brewing the same coffee that I brew at home, but somehow it didn’t taste the same. In fact, it tasted far different.. as in, different better! I was bamboozled. How can they make the same coffee as me, but have it taste so different? So began my interrogation of these poor baristas. 20 questions? More like 100 questions! To make a long story at least somewhat shorter, I eventually came to terms with the fact that the most likely cause of their coffee being better than mine was their grinder. I thought maybe it was the coffee maker, because they brewed differently from me. But the reason, according to the café owner (who eventually stepped in to set me straight), was that most of the goodness came from their coffee grinder behind the counter. This big, black 2001: A Space Odyssey-looking obelisk of coffee bean mulching action. 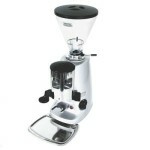 AKA the Eureka Mignon Instantaneo, an Italian import coffee grinder. The past year taught me a few important coffee lessons. 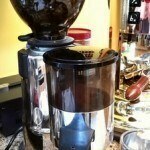 For instance, now I know that grinding makes a world of a difference to your coffee’s taste. 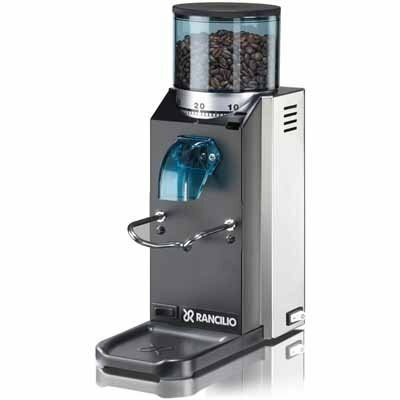 Grinding should be done just before brewing to achieve the most perfect taste and lovely coffee aroma. Pre-ground beans are fine, but its nothing like what I’m talking about with fresh ground beans. 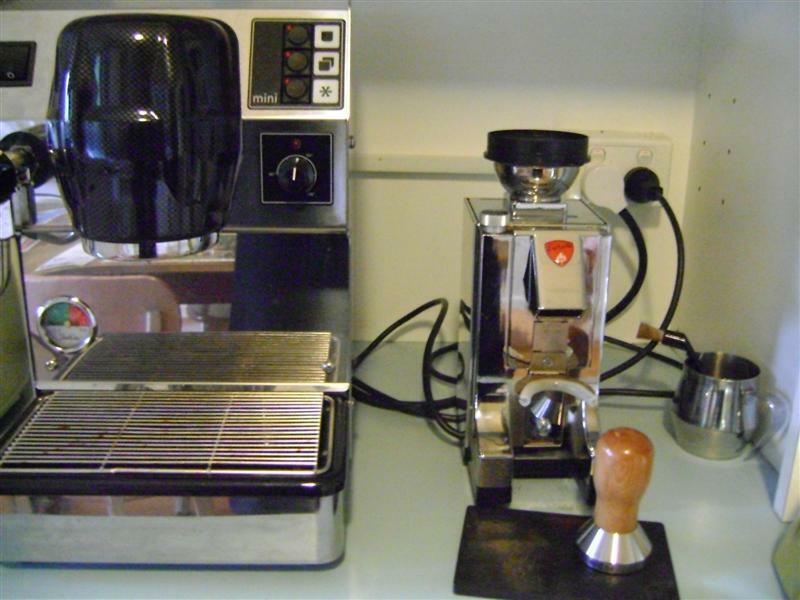 My life as far as coffee goes was changed forever when my local coffee shop actually got me a crazy deal on getting my own Eureka Mignon Instantaneo. 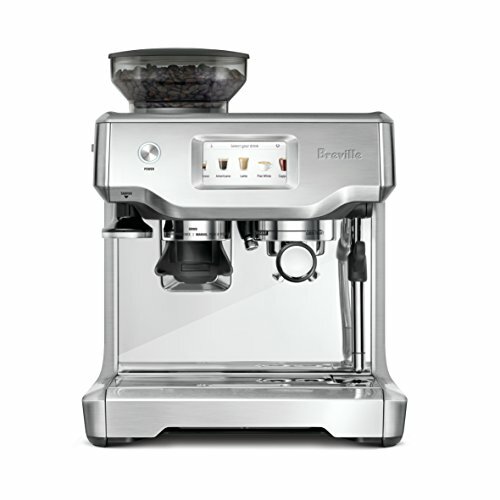 They tried to steer me to a more reasonable purchase in the Capresso Infinity (which they also sold), but I would hear nothing of it – I had my heart set on the Eureka Mignon, because I’d been drinking that coffee for over a year and it was always stellar brew. 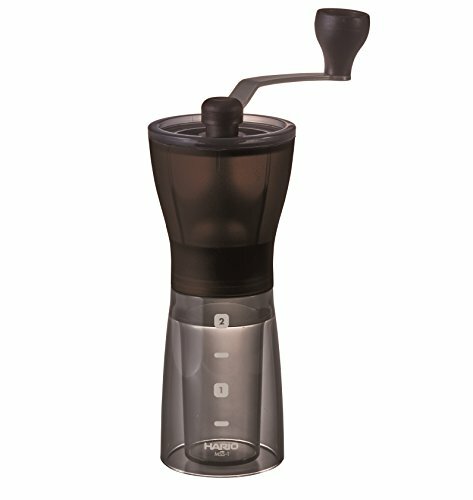 Mind you, I’ve heard good things about the Capresso Infinity grinder, but I’m a bit of a mad scientist and part of my madness dictated that all the variables had to be the same. That, and the café own managed to get me the Eureka at cost, so it was basically half its normal price. After watching a few video reviews of the Eureka in action, I was convinced this was something that I needed. 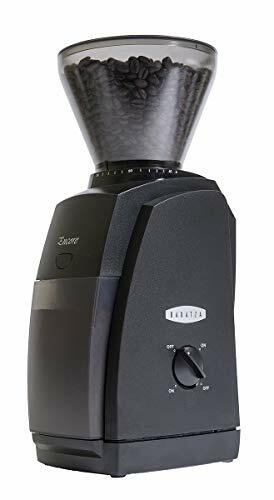 I was told by the coffee gods (two café owners and my aunt) that consistent grinding was imperative to getting the best possible cup of coffee, and the Eureka is one of the bad boys that can ensure your beans are ground consistently every time, without fail. 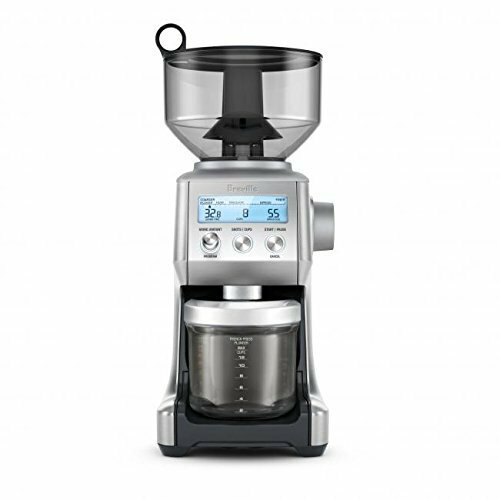 And now, with this beast of a grinder on my counter, I was able to start brewing all types of coffee – pour over, drip, espresso, Turkish, and everything in between. Lately I’ve been into making caramel lattes, and saving myself a few dollars a week from not having to buy them at Starbucks. The Eureka’s grinding is about as quiet as a kitten walking across a carpet, so I have no complaints there either in terms of noise. Its also been quite easy to clean, and its just proven itself to be a very solid little purchase. 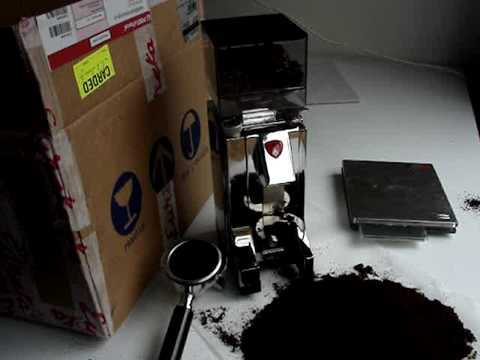 With both the black and stainless steel mirror finish, any splatters that get on this grinder are quite easy to see. 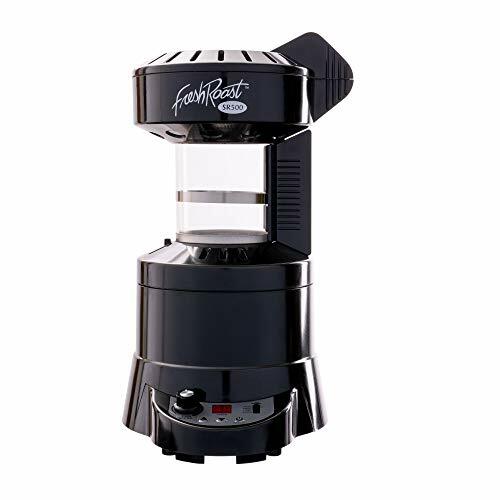 It has stainless steel burrs are powerful and robust, and from what I’ve seen this Eureka grinder has been nothing but durable. 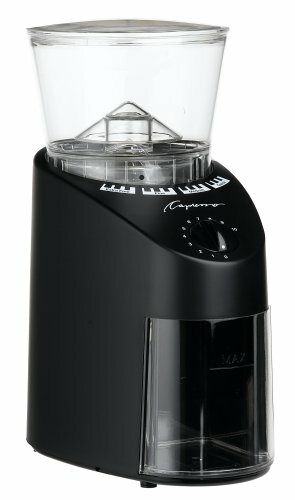 Overall, I would give the Eureka Mignon Instantaneo grinder a solid 4.5 STARS! RO water is a bad choice for coffee. You’re probably thinking ‘but it’s so pure!!’. That’s why it’s bad for coffee. The chemicals in the beans don’t have anything in the water to attach/react to. Coffee needs minerals in the water for the best taste. That’s a good point, Anymouse. However, it’s all quite subjective, as many people tell me they like RO water for their coffee. And, I’d prefer overly clean water with no minerals to city water full of chlorine any day. That said, appreciate the comment for sure! When in Menorca I use bottled water for making coffee (the tap water can actually taste salty) and that way I can get good coffee. I have even found that choosing the correct water makes a big difference. In the UK I am lucky in that my local water supply in Dunster, Somerset does not require any filtration.